It finally looks like December in Northeast Ohio, with a thin blanket of the “white stuff” covering properties throughout Cleveland. After an unseasonably warm and long fall, some property owners were still facing leaf cleanup when the first snowfall arrived. Now, we’re heading into a winter that is predicted to be colder and snowier than last year. That’s what we’re hearing from NOAA’s Climate Prediction Center and forecasters at AccuWeather. NOAA says La Nina will influence 2017 winter weather conditions. 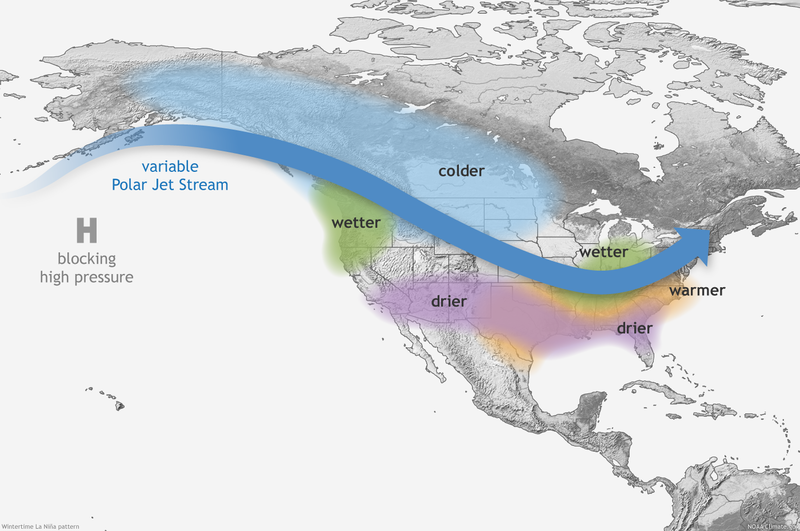 That means drier, warmer winters in the southern U.S.—and wetter, cooler conditions in the north. If you live on the Great Lakes like we do here in Northeast Ohio, La Nina usually delivers above average snowfall. And when Lake Erie doesn’t freeze, it becomes a snow machine. AccuWeather is telling us to expect an “extended winter” in 2017 with frequent snowstorms. Are you prepared for the winter season? The safety of people who live, work and visit your commercial property depends on you having a solid snow and ice management plan in place before the winter storm warnings start. Clearing snow is a health and safety service—it’s a must. If your landscape crew is a day off schedule for mowing your grass, no one gets hurt. But if you allow a parking lot to accumulate snow and neglect icy walkways, you could end up with a serious injury on your hands—and costly litigation. We’ll say it again: Be prepared. We know this winter is going to drop more snow in Northeast Ohio than we experienced last year. How will you manage it so your property is safe? Preparation before a storm hits is critical for keeping your property clear and safe during and after an event. Find out what systems the snow and ice management provider uses to track weather and dispatch crews. How large are routes? If a crew’s route covers a wide geography, it will take longer for the contractor to return to your property. You don’t want to find out after the snow begins accumulating that the snow contractor you hired lacks experience, systems and proper insurance. One way to be sure you’re hiring a reputable contractor is to check for certification. Certification from the Accredited Snow Contractors Association (ASCA) means the snow contractor is focused on industry best practices, reducing risk and above all, SAFETY. Schill is No. 1 in Ohio and No. 3 in the country for the number of ASCA-certified employees on staff. Another certification to look for is Certified Snow Professional (CSP) through the Snow and Ice Management Association (SIMA). Similarly, SIMA provides educational opportunities for snow contractors and only certifies true professionals in the field. 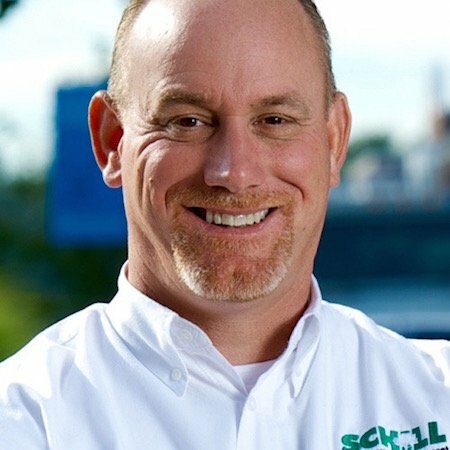 Schill goes a step further as one of 22 contractors in the country to achieve SN 9001 Certification. This ensures we have the documentation in place to protect your property and business from liability claims. Traditional rock salt used to melt ice on roads and sidewalks can damage the landscape. Ice melt products are critical for keeping your property safe during winter in Northeast Ohio. There are responsible deicing products available that Schill uses to prevent landscape damage. For example, we use innovative liquid deicers and pre-treat bulk material. This allows us to use fewer chemicals and apply less material during the season. (That saves time and fuel.) Our treated products are effective in smaller quantities, and are less likely to roll on to lawn areas. Does your snow and ice contractor have a deicing system in place? Trust us, there’s more to applying ice melt products than running a salt spreader. We recommend asking the contractor you’re considering to share the details about their deicing products. If you put off signing a contract with a snow and ice management provider until now, don’t wait any longer. The time is now. Winter is official next week, and we’re already hearing from weather forecasters that 2017 will bring more snow than we saw in 2016. Protect your people and property by putting a plan in place now. Need help? Download our free Ultimate Guide To Hiring A Snow & Ice Management Contractor. Give us a call any time at 440-327-3030. You can also fill out this simple contact form and we’ll get in touch with you.